Eclectic Educating: Everything You Wanted to Know About Phonics...and Then Some! Everything You Wanted to Know About Phonics...and Then Some! This week I went to some very intensive phonics training. It was a lot of information to digest, but I think it will be very valuable for my instruction. I am going to share some of this wonderful information with all of you. I hope you find it as fascinating as I do! I knew reading was a complicated process, but until this week, I don't think I fully understood how much actually goes into reading! I really liked this graphic hey shared at the training. It shows just how much goes into the process of reading. In order to read fluently, we need all of these isolated skills interacting smoothly, automatically, and quickly. All of these skills are intertwined with one another, much like the strands in fabric. One thing I found extremely interesting was when the speaker explained how the human brain really hasn't been processing the skills necessary for reading all that long; when you consider it in comparison to the amount of time humans have been around. The caveman weren't exactly doing a lot of reading. I guess I never really thought of it like that! The overall process of reading requires your brain to process orthographic, phonological, and semantic information. First we see the text and must make sense of the written symbols (orthographic), then we must translate those symbols into sound (phonological), and lastly we have to make sense of it in context. (semantic) Different parts of the brain are responsible for processing this information. As a result, students' reading can break down for a variety of reasons. We as teachers are responsible for finding where exactly this break down happens. As if all that was not complicated enough, we had to go and make a language with all kinds of different exceptions to rules and special situations. No wonder students struggle! One thing I didn't know was that the way our letters are pronounced sometimes makes combining them very difficult. For example, say "egg." You probably pronounced that short "e" more like a long "a." When you combine that "e" with the "g," your mouth just won't let you make that short "e" sound. Many of these situations exist and are called phonemic distortions. That is one reason you can't always tell kids to sound out their words. Maybe I am the only one, but I never realized before why students confuse short "i" and short "e" so much. Did you know the positions you make with your mouth to pronounce those sounds are almost identical? Also, I always thought students confused "g" and "j" so much just because those sounds were similar. Did you know when you say the letter name "g," you are actually making the "j" sound? Why would anyone think that was a good idea?! Who came up with that?! There are so many fascinating facts about our language that I could go on all day, but I will spare you! How do you address the challenges of teaching phonics in your teaching? Love the visuals, Amy! I have been using the Wilson consonant cards with my kids and it is definitely helping with pronunciation. 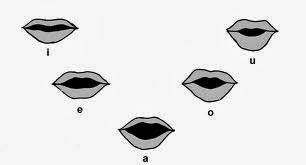 We haven't started reading instruction yet, but I know that getting their mouths to form the sounds is so important. Love those graphics! I use mirrors with my struggling readers when we say the short vowel sounds, so they can "see" what those sounds look like. They love it, and I love those a-ha moments! Reading is so complicated, and I believe it should the only thing, along with math, taught in K-2. It is so easy to incorporate science and social studies with both of those subjects throughout the day. But, maybe I am biased as a reading specialist! Sounds like a wonderful training! Thanks for sharing!! Sorry, I am a bit behind on your post but I just came across your blog today and LOVE it! I loved your post on phonics. I felt the same way last year when I atteneded a SLANT System Introductory Course. 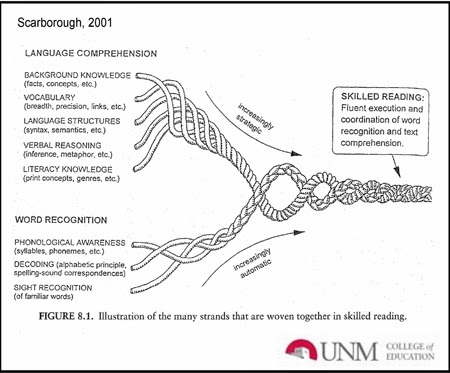 She showed us the same Reading Rope and all this brain research from Sally Shaywitz. It is so amazing! Thanks for sharing!